We are offering highly nutritious Castor Meal in the market. Our Castor Meal is rich in protein and crude fiber with very high oil content. The Castor Meal is the by-product of castor oil. Our Castor Meal can be used as a fertilizer and is very effective with no adverse effect on the plant. 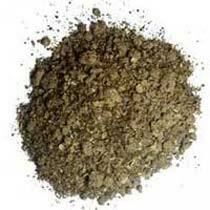 Our customers can take the Castor Meal in the quantities they require in competitive prices.